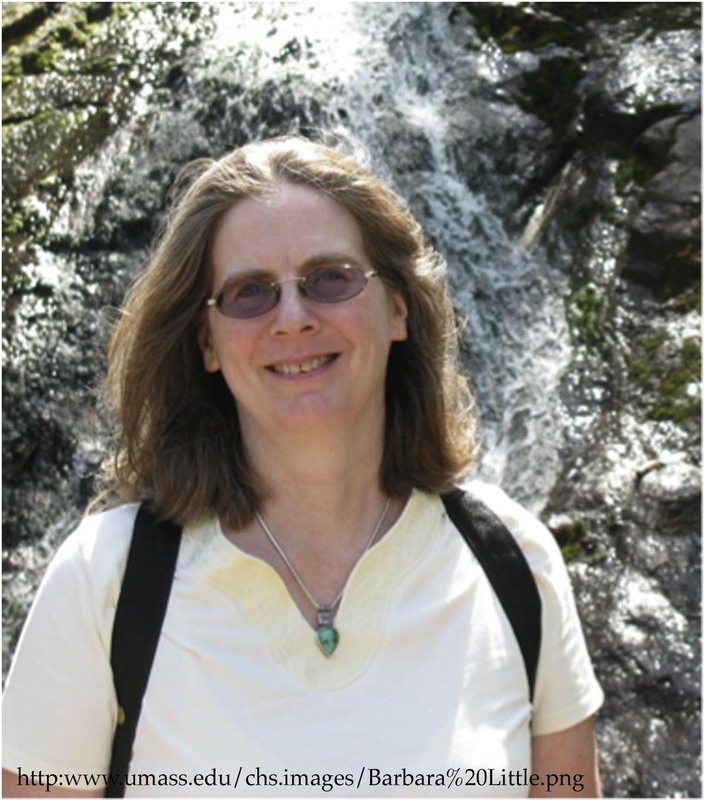 In today’s post we are fortunate to have a Q & A with Barbara Little, Archaeologist with the National Park Service. The title of a volume Barbara edited, Archaeology as a Tool of Civic Engagement, encapsulates one of her primary research interests. She is also the editor of CRM: The Journal of Heritage Stewardship. Most recently Barbara was recognized by the University of Massachusetts Amherst Center for Heritage and Society as a 2011 honoree. She also writes regularly about the developments in Public Archaeology for the Society for Applied Anthropology. Barbara is a leader in developing reciprocal engagements between the professional community and the public that we serve. Could you tell us a bit about yourself and your responsibilities at the National Park Service? Since I joined NPS nearly 20 years ago I’ve been in a few different positions, first with the regional office in Washington, DC, then with the National Register of Historic Places and National Historic Landmark Survey, and, for the past 12 years, with the Archeology Program in the central support office in DC. My work intersects with a wide variety of program areas, but some of my persistent themes are public outreach, education, and interpretation. Those overlap with training and all of those connect with my academic roots and my own research interests in the general question of “what matters and why?” From October 2011 through March 2012 I am on an assignment to the Office of Citizen Services and Innovative Technologies in the General Services Administration. As you might imagine, I’m excited about that because of my interest in civic engagement. How has the NPS’s outreach to the general public evolved over the past few years? That’s a very interesting question involving the whole agency, not only the archeology program. Speaking in a non-official capacity, I would say that there has been an enhanced appreciation for the role of subject matter experts in outreach efforts. I think that one of the most important steps in that direction is the shared training for archaeologists and interpreters that encourages people to work across their disciplinary boundaries and learn from their colleagues’ expertise. John Jameson at the NPS Southeastern Archeological Center was instrumental in getting that training program established. NPS offers face-to-face training classes as well as our curriculum of free distance learning courses that have become widely used outside of NPS as well (http://www.nps.gov/archeology/tools/distlearn.htm). The NPS’s Public Benefits of Archaeology webpage contains a tremendous amount of information and resources on archaeological outreach and education. How do you see this presence evolving in the future? Ah, you may be asking because you’re wondering when we might refresh those static pages! We’ve actually had to cut back on the number of webpages we maintain, simply due to workload but hopefully the ones that remain are still relevant. We do try to assess what pages get the most use and build out new content in response. Archeology for Kids (http://www.nps.gov/archeology/public/kids/index.htm) gets a lot of traffic and so we started to develop more in-depth materials for teachers to engage very young children and introduce them to basic archeological concepts. That material is not yet live, but it shouldn’t be too long. What feedback or input would you like to receive from the public and professional community to better enable the NPS to promote outreach and education efforts? That’s a topic for a very long conversation! I think we all are challenged with how to allow, encourage, and truly benefit from continuous dialogue that goes well beyond requests for public comment to comply with regulation or policy. I think there is an important role for the professional community to play in heritage education on public lands. It may be that the first series of hurdles is simply awareness that there is both need and opportunity for both formal and informal collaboration across our workplace boundaries. You have published extensively on archaeology and community engagement. How have you seen that area evolve over the years and what do you believe the future holds for this aspect of archaeology? What does the future hold? We are certainly trending toward civic responsibility and societal relevance as our touchstones. I hope that continues, but I have no idea how long that will last, or even how deeply embedded it is. Archaeology is a very varied set of practices and there are a lot of different motivations behind it. I consider this sort of work to be continually evolving and I try to keep exploring in interesting directions. I can’t necessarily predict where such exploration will lead. Here’s my chance to promote a new study by a young professional who came to work with me a couple of years ago to study civic engagement and to revitalize our community of practice within NPS. Her project has been eye-opening and energizing. Please read Molly Russell’s “Principles of Successful Civic Engagement in the National Park Service” (http://www.nps.gov/archeology/PUBS/studies/PDF/study07.pdf). How has the NPS incorporated social media in public outreach and education? Again, that’s a topic that’s much broader than the Archaeology Program. Government agencies – especially our legal departments – often are challenged by privacy and security issues. That doesn’t mean that NPS hasn’t waded into social media, but it’s not quite as easy or obvious as it might appear. The same is true of developing mobile-friendly web pages and apps for the various mobile platforms. All of this is growing. Follow us on Twitter @NPSArcheology! Well, let’s see, I think obstacles and solutions tend to come out of human mindsets and relationships, so the following come to mind as mighty big – but not insurmountable: habit, complacency, hierarchical structures, territoriality, the academic reward structure, the over-valuing (and over-statement) of individual achievement coupled with the under-valuing of collaborative efforts, and our focus on answers rather than questions in our outreach/education/engagement. Anyone who has read much of my work knows that I love great quotes, which means that much of the wisdom that inspires me comes from writers, poets, and artists and thinkers of all sorts. I like to put things in as broad a context as possible, connecting and integrating as much as I can. Because I think that way, I’d prefer to suggest that wisdom resides in our impetus to connect, collaborate, and unify. I am not suggesting that any particular outreach effort ought to cover so much ground that it’s impossible to do, but that we work from a sense of connectedness and with an attitude of collaboration. You can email Barbara at barbara_little@nps.gov or visit the National Park Service Archaeology Program website or their Civic Engagement website. ← What does Steve Jobs have to do with IT? Thanks for this extremely insightful post about NPS efforts in archaeology and public outreach. I would like to add to this discussion by talking about my own experiences in both of these areas, which speaks also to the role of public outreach and archaeology in the Department of Earth Sciences here at the University of Memphis. Let me begin by saying a few things about the Cooperative Ecosystems Studies Units (CESU), which is a large cooperative of federal agencies, academic institutions, and non-profit organizations with NPS serving as the lead and administrative entity. CESUs developed over the last decade and are an effort to promote cooperation between agencies and institutions for creative resource management solutions. Public outreach and student involvement are primary outcomes of cooperative agreements. CESUs are organized in several national regions (see the main CESU website at http://www.cesu.psu.edu/) and provide a network for members to work in all other units. This is a major and extremely successful outreach effort in my opinion that we can give thanks for to NPS. The University of Memphis is one of the newest members of the Great Rivers CESU, which has allowed me to work collaboratively with National Parks in other units. I would like to add to Barbara’s discussion of NPS-sponsored public outreach by saying a few things about a project I got off the ground this summer working with Crow and Northern Cheyenne tribal members in a collaborative Tribal Historic Preservation Training program involving the Department of Earth Sciences at the University of Memphis, Northwest College in Powell, Wyoming, and St. Cloud State University in Minnesota. I have worked for several years on NPS-sponsoroed archaeological research at Bighorn Canyon National Recreation Area and have worked to develop relationships with local Native communities. Recently a group of THPOs and tribal elders requested the NPS to provide archaeological training opportunities for tribal members to promote growth of THPO programs. We successfully launched this program in July and August of 2011 with a six-week archaeological field school attended by eight Crow and Northern Cheyenne students. I developed a curriculum of applied archaeology that focused on fundamental tenchiques of archaeological survey, site identification, and documentation but also brought in relevant elements of cultural resource law such as NEPA, NHPA, ARPA, and AIRFA. We also spent considerable time discussing ethnography and traditional cultural properties (TCPs). All eight students completed the six-week program and earned an archaeological technician certificate from Northwest College. Several of these students have since entered college or continue to work as NPS interns. This program is a GREAT success and is sponsored almost entirely by NPS. To see a news article publised in the Billings, Montana Gazette, please visit http://billingsgazette.com/news/state-and-regional/montana/article_c87fc235-88c0-5c0b-8ae3-2ae0f143c52e.html. Thanks again for this great post on NPS efforts in public outreach. I (and others) could say much more about my own experiences in this matter–in fact a recent CESU-sponsored symposium at the Rocky Mountain Anthropological Conference in Missoula, Montana was dedicated to this very topic!! !